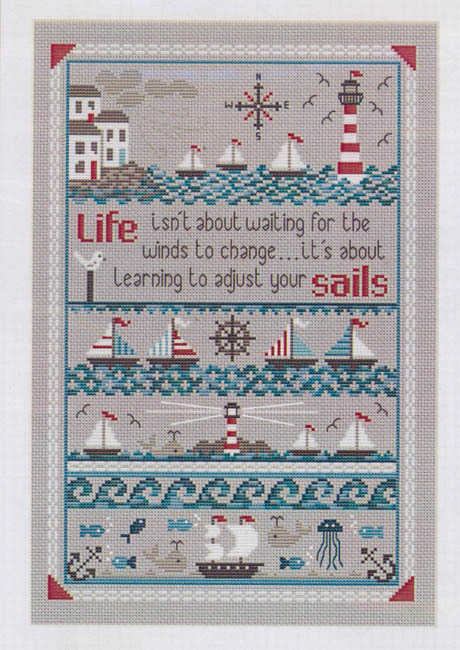 Nautical sampler with saillboats, lighthouse, fish and more. "Life isn't about waiting for the winds to change - it's about learning to adjust your sails." Count: 117 x 177. Recommended fabric color - grey.